MediaTek and Reliance Jio have partnered to bring a new Android Go smartphone in one of the world’s biggest smartphone market. The announcement was made earlier today at the Curtain-Raiser event in New Delhi. MediaTek has already announced its partnership with Google to launch chipsets that natively support the Android Go program. Reliance launched the JioPhone last year in July and since then the company has sold it to millions. The company was also rumoured to launch an Android smartphone as a similar budget offering to please the market portion that doesn’t want a feature phone. This Android Go smartphone could be the one we have been talking about all along. Google and Reliance Jio also seem to have created a deep partnership. At its event held in December, where the Android Go program was announced, Google also announced the Google Assistant for the JioPhone. It was the first time that the Google Assistant was brought to a feature phone. And now the two companies are partnering yet again to launch an Android Oreo (Go Edition) smartphone. At today’s event, MediaTek announced a couple of processors that will support the Android Go platform. According to the company, the MT6739 processor is capable of supporting dual cameras, face unlock, and also dual 4G VoLTE. MediaTek assures that the performance of the devices with these chips would remain top notch even with 1GB of RAM or less. With over 15 million units shipped, Reliance JioPhone holds about 27 percent of the feature phone market. It would be interesting to see if the upcoming Jio Android Go smartphone will be able to replicate this success. Also, it is still not clear if the phone will be launched as a separate brand, like the JioPhone, or will be launched under Jio’s smartphone arm LYF. Several other smartphone makers including Micromax and HMD Global have confirmed to launch Android Go smartphones in the near future. 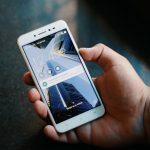 Micromax Bharat Go and Nokia 1 are the two devices that are expected to be a part of the first wave of Android Go smartphones. When not imparting tech gyaan, Karan can be found engrossed in his favourite TV show with a mug full of coffee on one side and nachos on the other. A good laugh, some striking stories and a lot of catchy music is all he needs to pacify his anxious mind.